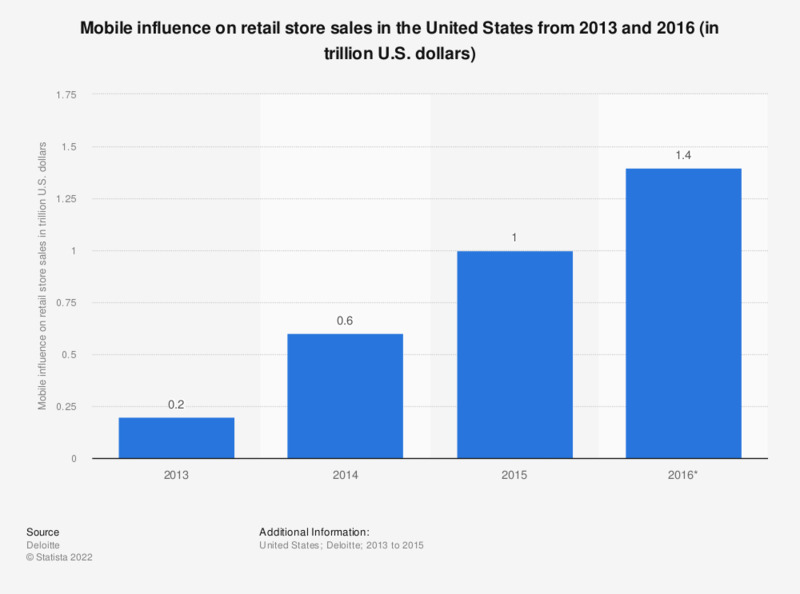 This statistic illustrates the mobile influence on retail store sales in the United States from 2013 to 2016. In 2015, mobile-influenced retail sales amounted to one trillion U.S. dollars, accounting for approximately 49 of in-store sales dollars. Use of mobile devices before or during in-store shopping trips, influenced or helped to convert.